We support the planned maintenance of local councils in Greater London, the Home Counties and the South East. Ashton Roofing & Maintenance support main contractors with their yearly engagements, covering all bases for planned maintenance procedures undertaken by housing authorities throughout the country. With years of experience dealing with roofs in some of the worst conditions, our highly trained staff are specialists in renovating and refitting roofs on council housing from the 40’s onwards. 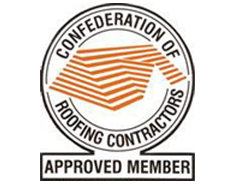 As roofs succumb to the environment over the years, it is extremely important for not only the comfort, but the safety of tenants that we ensure their roofs are up to expected standards. By utilising modern techniques and materials we guarantee longevity and security, offering tenants the peace of mind they deserve. From full renewals to the re-fixing of loose tiles, the re-bedding of ridge and hip tiles, replacement of lead flashings and repairing of chimney stacks, our flexible scheduling means that we can assure a rapid and responsive delivery of services.